ARUNACHAL TOUR - SKH Global Travels Pvt. Ltd. Arrive at Guwahati,meet and assisted and drive to Nameri eco-camp, take the boat downstream on fast flowing snow-fed Himalayan river with option of angling on catch and release basis. This is a good outing. It all depends on the amount of time you wish to spend on the boat. There are a few stops downstream to relax and enjoy the natural beauty. Each boat is oared by two tribal boatmen. Overnight at Nameri. Full day visit in Nameri National Park , choice of Rafting or Angling or Bird watching or Trekking in the park. Over night in eco-camp. After breakfast drive to Dirang. Enroute visit Tipi orchid centre, a glass house with over 7500 orchids and Sherdupkens tribal village at Rupa. Spectacular valley, Dirang is famous for its apple orchards, sheep breeding farms and natural hot springs. The hot water springs in Dirang is considered holy by many who travel to them for a dip. Dirang is ideal place for adventures like trekking and hiking Over night stay in Hotel at Dirang. After breakfast drive to Sinuous road to Tawang passes through the dragon gates on the awesome heights of the great Sela pass ( 13,714 ft.) and visit Jaswantgarh located here is a memorial to the brave soldier who strongly handedly tried to hold of the approaching Chinese from the pass during the 1962 Chinese war. Over night in the hotel at Tawang. 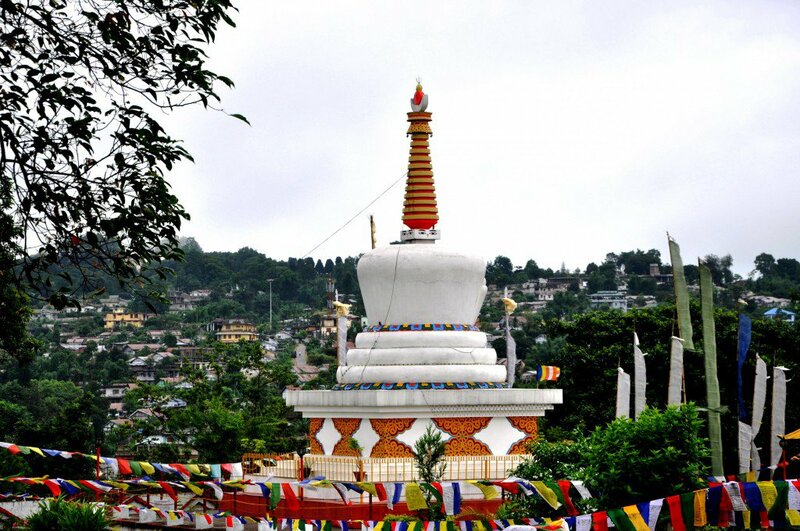 Full day visit the Tawang monastery which is more than 350 years old and panaromic background is eye catching. It is inhabitated by monks who belongs to the Gelupa Sect of the Mahayana school of Biddhism. In the afternoon visit the Urgelling Monastery which is also associated with the birth of the 6th Dalai lama. One of the oldest Anigompa( nunneries) is the Brahma dungchungAniGonpa located 12 km from Tawang commissioned KarchenyeshiGelek in 1595 AD. The GyangangaAniGonpa is about 5 km from town and has more than 100 nuns living here. Over night stay in Hotel at Tawang. Drive back through Sela pass via Dirang to Bomdila.. Evening visit local market. Over night stay in Hotel. After breakfast visit RabggalingGontseGompa, , upper Gonpa and thupchobGatselungGonpa. After that drive to kaziranga National park. Overnight stay in Resort. In the morning Elephant ride. After breakfast a jeep safari to watch the great Indian one horn Rhino. Post lunch again jeep safari inside the park. Over night in Resort. After breakfast drive to Guwahati and visit kamakya temple. Over night stay in Hotel. check out from your hotel and Proceed to Airport to catch your flight to New Delhi. SKH Global Travel Solution Pvt Ltd or its associates are not liable for any kind of natural calamities, strike, Bandh, Train & airline delay or cancellation. River rafting is not allowed for children below 12 years. Indemnity Bond to be signed by all participants at the time of booking. * Travelling Notes: This is designed as a “family adventure tour” with the idea of bringing people to the heart of nature. The first things that are sacrificed are the “normal comforts” one expects on a “sight seeing” tour. We advise you not to book this safari if you do not enjoy traveling with others and are not prepared to sacrifice the comforts which a more “deluxe” holiday to the cities might get you. * One must be ready to face any type of climatic and road conditions as well as other hardships faced on a high altitude jeep safari. Lodging in Eco-camp Nameri and at Dirang and Tawang is basic and simple. The highest points in this tour will be Sela Pass (14,000ft) on the Dirang-Tawang route. Those with breathing problems or lung problems and heart problems are advised to consult their family physician before undertaking this tour. Meals throughout the tour is both veg/non-veg and stress is on warm, wholesome food.